Cooking good food from scratch is a skill that can save you money, keep you healthy, and make you and your family and friends happy. What Iâve tried to do in this book is pick a whole load of meals that we all love to eat and break them down to make them as simple as possible. There are plenty of clear instructions and step-by-step pictures, so whether youâre an accomplished cook or a complete beginner, youâll be able to enjoy cooking and achieve great results in the kitchen. This book is inspired by all the people Iâve met who thought they could never and would never learn how to cook. I believe that good home cooking is one of the most essential, fundamental skills that every single person on this planet should have in order to look after themselves, their families, and their friends. 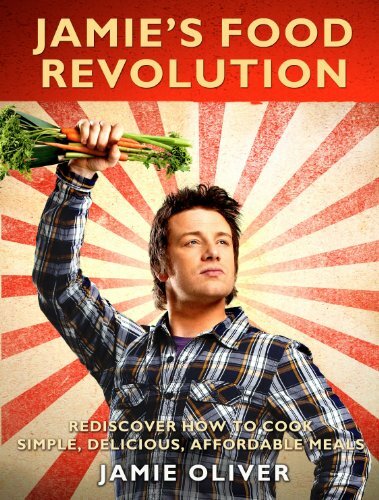 This food revolution is all about people learning how to make a recipe, then teaching that recipe to their friends and family . . . if enough people do this, pretty soon everyone will be cooking. So cook something today, then PASS IT ON!